The 2018 BMW X3 is set to get multiple upgrades, including full LED headlamps, optional 21-inch wheels, a much larger central touchscreen display and more. BMW India is set to launch the new generation 2018 BMW X3 in the country on April 19. 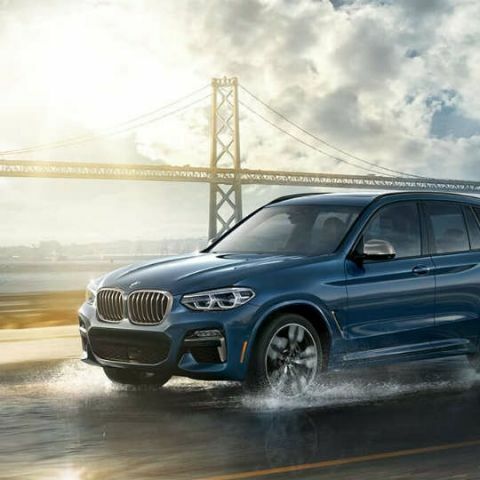 BMW’s mid-range SUV debuted internationally last year, and presents a host of upgrades to the company’s best-selling SUV globally. With the all-new X3 now set to launch in India next week, we take a look at everything that the new generation X3 SUV will come with. 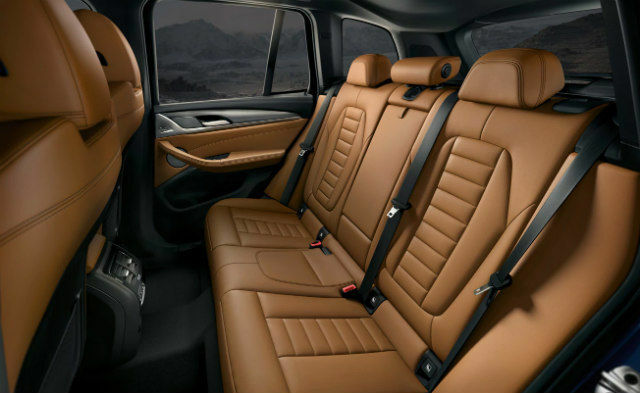 The new BMW X3 SUV gets an upgrade in terms of the in-car technology package that it offers. The previous edition BMW X3 featured the old iDrive interface on a 10.2-inch LCD display, paired with a monochrome HUD on the top-of-the-line xDrive 30d M Sport variant. With the new generation, while the display size may remain the same, the 2018 BMW X3 will get the new iDrive 6.0 infotainment interface, along with a full touch-operated display. The new iDrive setup includes Apple CarPlay and Android Auto enabled, along with a native navigation setup, the somewhat-redundant BMW Apps and the fantastic iDrive controller will be retained. 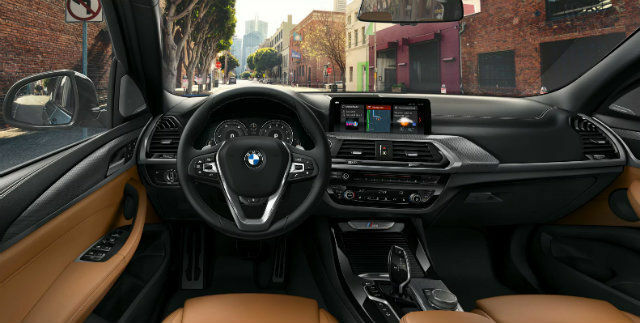 New features in the updated infotainment firmware here include connected telematics, an on-board controller managing connectivity and other connected features, optional gesture control (the same that we’ve seen in the present generation BMW 7 Series) and Expanded Check Control car monitoring system. While BMW TeleService is enabled in the international variant of the 2018 BMW X3, it is not yet clear if the same will apply for the one that will come to India, owing to regulations. Another new feature that makes its way to the BMW X3 from the higher rank brethren is the vehicle and key memory mode, where based on memory slots, the car can save up to three driver presets. Using this, once you unlock the car, it will automatically switch to either the default or the last-used list of saved settings, which will then adjust steering wheel position, seat position, climate control preference, lighting and audio preferences, and even mirror and central locking preferences from the respective profile. The new generation X3 also gets multi-colour ambient lighting, and a full-colour Head-Up Display that will reportedly be more intuitive in nature. In terms of safety technologies, the 2018 BMW X3 will come with automatic-locking retractor-equipped seat belts, front seat-belt pretensioners, fatigue and focus alerts, crash impact sensors, active brake lights, and the standard array of airbags and alarms. The audio system, though, is expected to be the same 12-speaker, 205W amplifier-equipped system that was present in the previous generation BMW X3. Internationally, the Driving Assistance Plus package is presented as an option - one that adds ADAS features like active cruise control with stop & go, blind spot monitoring with front collision warning and city collision mitigation, active lane-keeping assistant and more. This, though, may not be included in the version that comes to India. 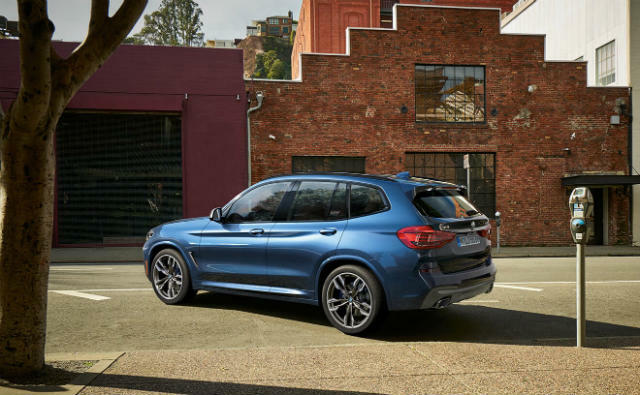 The 2018 BMW X3 is based on a new platform that has many stating that the new X3 resembles the older generation BMW X5, and that is something that BMW will like its customers to know. The new generation X3 reportedly increases on interior space, and is a larger overall vehicle than the previous generation BMW X3. The interiors are also expected to come with a new, dual-tone colour scheme, and have a new design based on BMW’s new design philosophy. The overall pattern and layout of the cabin, though, is expected to remain similar. On the outside, meanwhile, the 2018 BMW X3 gets full LED adaptive headlamps, hexagonal LED fog lamps, full LED 3D tail lamps and programmable LED daytime running lights. It also gets a redesigned front grille that makes the aging best-selling SUV look fresher and updated. The front bumper is also expected to be beefier, with bigger air intakes making the overall SUV sportier. Standard 18-inch wheels are expected, but BMW may give the option for upgrading to 21-inch wheels. While it is not yet clear, the 2018 BMW X3 is expected to come to India with both diesel and petrol powertrains upon launch. The petrol trim could be the BMW X3 xDrive30i, powered by the 2-litre, 4-cylinder petrol engine that produces 248bhp and 350Nm torque, while the diesel engine could power the xDrive20d, being a 2-litre, 4-cylinder engine that produces 190bhp and 400Nm torque. Internationally, BMW also sells the 40i M Sport edition, which is powered by a 3-litre twin-turbo 6-cylinder engine that produces 355bhp and a staggering 500Nm torque, but this edition is unlikely to make it to India. The all-new BMW X3 will be launched in India on April 19, and is expected to be priced at around Rs. 55 lac when launched. It will go up against the likes of the Mercedes-Benz GLC, Audi Q5 and Volvo XC60, marking the return of one of BMW’s best-selling cars in India in one of the most popular luxury car segments in the country.